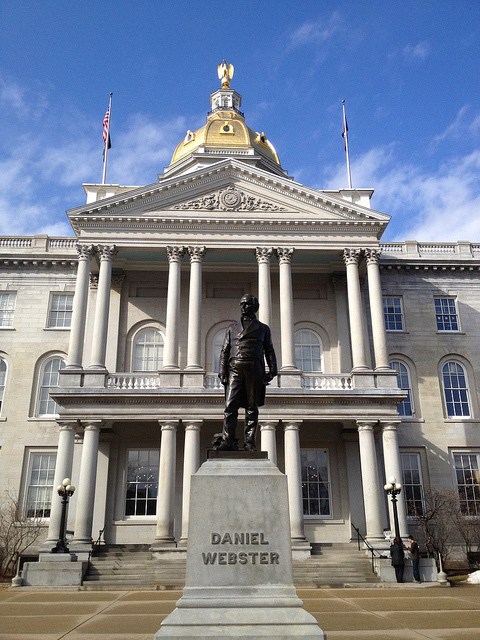 New Hampshire's State House is made of New Hampshire granite quarried in Concord; It is the nation's oldest state capitol in which a legislature meets in its original chambers (photo by Marc Tomik on Flickr; noncommercial use permitted with attribution / share alike). New Hampshire's nickname is The Granite State. Granite is also the official state rock of New Hampshire. 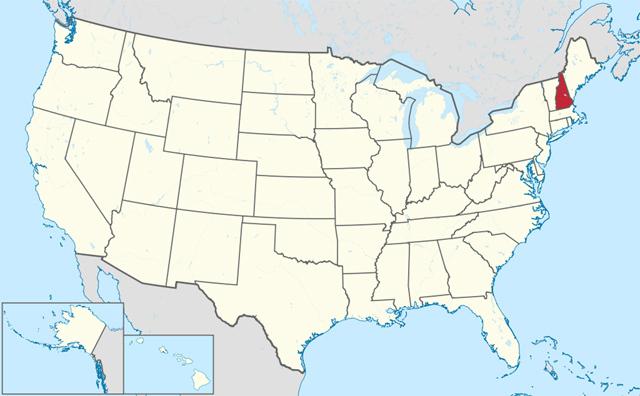 The state of New Hampshire, USA; image by TUBS on Wikipedia (use permitted with attribution).